Ukraine's economy shows subtle signs of recovery; Prime Minister Arseniy Yatsenyuk urges not to fear Russian embargo; and the National Bank injects foreign currency to support the hryvnia - these are the main economic news of the past week. The economy is in fact recovering. Last week, the State Statistics Committee reported an increase in Ukraine’s industrial production for the second consecutive month. October saw a 7.3% industrial production growth compared to the previous month. But experts don’t rush to rejoice, linking this performance to seasonal factors and low comparative base. "The October’s acceleration of growth in industrial production was mainly due to seasonal factors - namely, the increased volume of production and distribution of electricity, gas and water (by 21% in October compared to September) since the beginning of the heating season, as well as a strong performance in the food industry (by 19 % in October compared to September) due to the start of the sugar production season," said Olena Belan, a chief economist at Dragon Capital investment company. According to the head of the analytical department of Concorde Capital investment company, Oleksandr Parashchiy, the dynamics of industrial production in October was influenced by the drop in global steel prices and the low base effect. "Reduction of the price of resources as well as the low base effect remain key factors that determined the industrial performance in October," the expert believes. The increase in production this October was only recorded in mining industry (18.1%), manufacture of coke and refined petroleum products (15.7%), and mining of metal ores (1.2%). Overall, the decline in industrial production in January-October, 2015, amounted to 15.4% year-over-year. Upgraded rating and "Yanukovych’s loan"
Successful restructuring of a $15 billion debt starts to pay off. Last week, two major international rating agencies announced upgraded forecasts regarding Ukraine. Fitch Ratings has upgraded Ukraine’s foreign currency issuer default rating to CCC from RD (restricted default). Fitch has also affirmed the long-term issuer default rating in national currency at CCC, upgrading the short-term foreign currency IDR to C from RD. "The country has emerged from default on commercial external debt, issuing new bonds on November 12 to holders of $15bln in defaulted eurobonds. 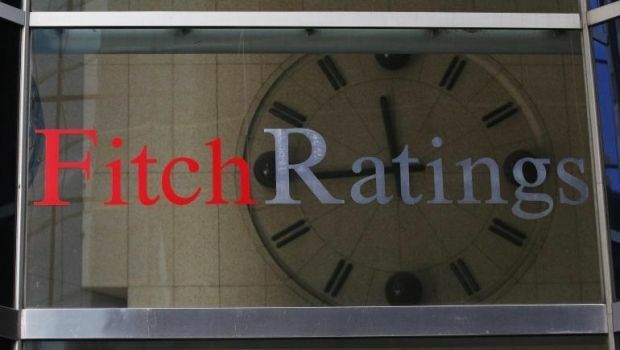 The restructuring pushes out maturities to 2019-2027 and reduces the debt stock by $3bln (3.4% of GDP)," Fitch said. According to Fitch, public debt sustainability has improved. Reduced refinancing needs and a pipeline of official financing give the public and external finances some breathing room and lower the risk of a sovereign debt crisis over the short- to medium-term. 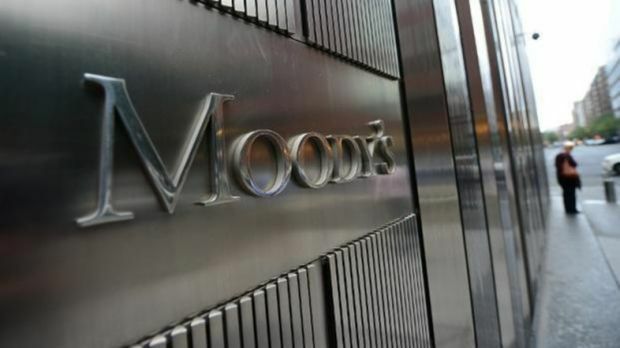 In turn, Moody's Investors Service has today upgraded Ukraine's government issuer rating to Caa3 from Ca, changing the rating outlook to stable from negative. According to the agency, Ukraine's economy is beginning to emerge from a deep recession after contraction of real GDP in 2014-2015 to almost 20%. 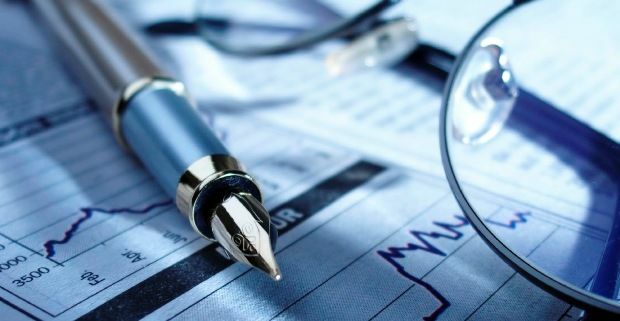 The agency reported that the increase in Ukraine’s ratings in the future is possible given a more robust economic recovery than a 2% annual growth projected by Moddy’s, as well as the continuation of reforms, including measures to combat corruption, and the positive debt dynamics. Nevertheless, the negative impact on the rating could bear the long delay or termination of the cooperation program with the IMF. It also reported that Moody's affirmed the Ca rating of the government's $3 billion “Russian bond” scheduled to mature on 20 December, 2015, taking into account the intentions of the Ukrainian government not to pay this debt. At the beginning of last week, Russian President Vladimir Putin expressed readiness to defer payment of Ukraine's debt to $ 3 billion, received by Viktor Yanukovych as the Kremlin’s bribe for a U-turn away from European integration of Russia’s neighbor, which subsequently resulted in massive uprising and change of political regime. In response to public statements of the Russian president, the Ukrainian government said that it had not received any formal proposals on debt restructuring. However, the IMF is waiting for direct talks between Ukraine and Russia on this issue. Last week, Prime Minister Yatsenyuk announced Ukraine’s estimated losses from a possible Russian embargo against the Ukrainian products which may be imposed from January 1, 2016. "Ukraine estimated its losses in 2016 from the trade embargo by the Russian Federation: Ukraine will lose about $600 million worth of exports to the Russian Federation," said Ukrainian Prime Minister at a government meeting. 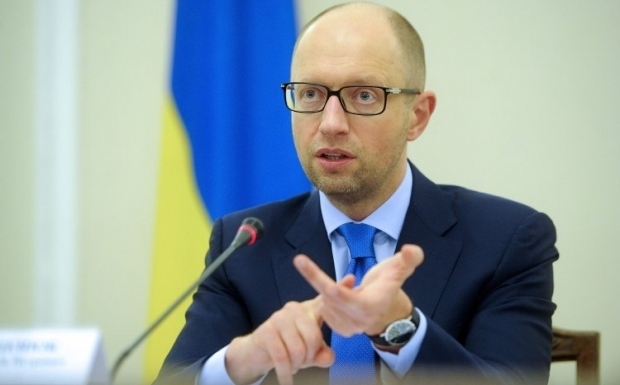 According to Yatsenyuk, Ukraine's dependence on Russian market has decreased considerably, and the losses caused by the embargo against the Ukrainian food products would be compensated by increased exports to the European Union following the entry into force of the Deep and Comprehensive Free Trade Area. "We are prepared for Russia imposing restrictive measures in trade,” said the prime minister. Meanwhile, the European Union promised to do everything possible within the framework of negotiations with the Russian Federation to prevent the introduction of the embargo against Ukrainian goods. By the way, according to the Minister of Agrarian Policy and Food, Oleksiy Pavlenko, Russia’s food embargo will not affect the Ukrainian agricultural sector. "Russia is not even in the top ten importers of agricultural products. Trade turnover between Ukraine and Russia has decreased by more than 70% in 2015 alone," Pavlenko said. The minister stressed that market diversification measures have yielded some notable results, significantly changing the structure of exports of Ukrainian agricultural products. Asian countries remain Ukraine’s key markets, accounting for about 47% of Ukrainian exports. The export share to the EU countries amounts to 26%, that to African countries is 14%, and to the CIS countries - 11%. According to the Ukrainian Agrarian Ministry, Ukraine-Russia trade turnover amounted to $405 million in nine months of 2015, while exports from Ukraine declined by 75% to $222 million, while imports to Ukraine dropped 64% to $183 million. Main export products were meat, by-products, cocoa paste, wine, coffee/tea extracts and concentrates, salt, processed fruit and vegetables. Last week, after six calm months in Ukraine’s currency market, the hryvnia resumed its fall. Tha national currency broke the UAH 24 to dollar mark several times. The NBU explained excessive fluctuation of the hryvnia with the predominance of foreign currency demand over its supply. To meet the demand, the NBU had to intervene, for the first time in a long period, entering the market with an offer for the sale of foreign currency. 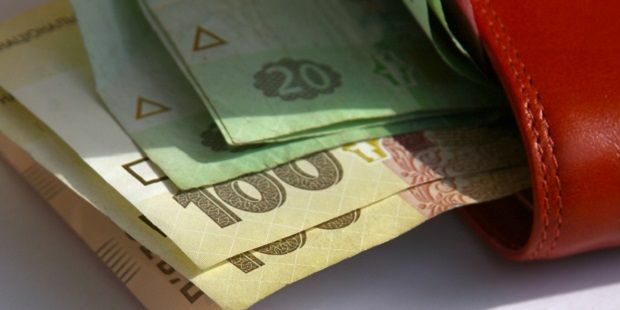 Among the main reasons for the weakening of the hryvnia the experts called the delay in the process of Cabinet approval of the State Budget for 2016, the absence of another tranche of the IMF which has been the main supplier of currency in recent years, as well as the drop in export revenue. "I think that the market will calm down as soon as a balanced budget is adopted, as it has been agreed with the IMF. If you remember, last year's program with the IMF was sealed when the country’s financial system began to collapse following devaluation. I think that this year, reasonable politicians must not let history repeat itself, not let the financial system collapse due to escape from the hryvnia to the dollar, devaluation and inflation," said the head of analytical department at ICU, Oleksandr Valchyshen. According to him, the business is not confident in the future and does not rush to bring its foreign currency revenue into Ukraine, at the same time directing the available hryvnia at buyin more foreign currency. Initially Ukraine was to receive four tranches from the IMF this year, but there have been only two so far, and the conditions for the next disbursements have not yet been met. But there are also positive signs. In particular, the IMF mission that worked in Kyiv from 12 to 20 November, affirmed deeper mutual understanding with the Ukrainian authorities on the key issues of economic reforms, including tax changes and budget process. Now everyone is waiting for the government to submit to the Verkhovna Rada the draft state budget and also the fiscal amendments. Besides, the deputies have yet to support these bills.